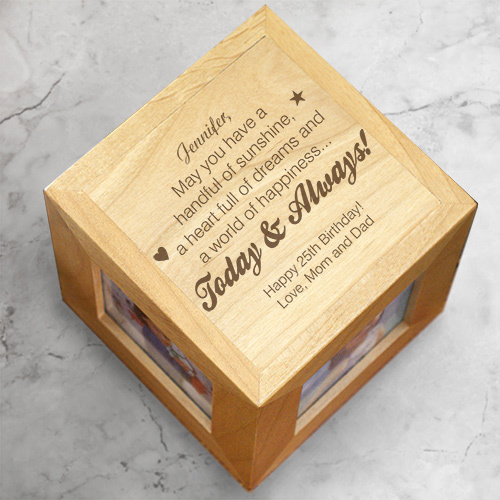 Our beautiful natural wood 4.5" Personalized Birthday Photo cube features 4 separate photo openings measuring 2.5" x 2.5". Add Photos from past Birthdays & create lasting memories. Includes FREE Personalization! Personalize this great gift with any name and any two line message. Makes a great Personalized Birthday Gift. 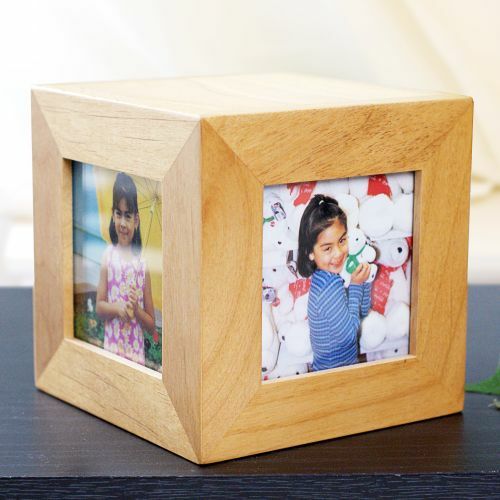 In addition to our Beautiful Personalized Birthday Photo Cube, GiftsForYouNow.com offers some very unique custom Birthday Photo Frames & Personalized Birthday Memories Albums in which you can store your Birthday Photos from the past. Get your Personalized Birthday Photo Cube today!